Our Central / Western PA regional headquarters is located at One S. Market Sq., Harrisburg, P.A. Locally, our customers bank with us at nearly 54 offices across nine counties, including: Bedford, Blair, Cambria, Cumberland, Dauphin, Franklin, Fulton, Perry and Somerset County, Pa.
Stephen A. Foreman serves as Group Vice President and President of M&T Bank’s Central and Western Pennsylvania region. 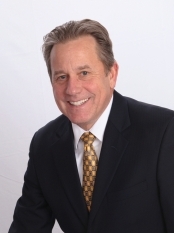 Foreman has 34 years of experience in the financial services industry, including 31 years with M&T Bank. Within the community, Foreman serves on the board of directors of the Altoona Blair County Development (ABCD), the Blair County General Authority, the Capital Region Economic Development Corporation and the Whittaker Center.